Like, send, subscribe: fixed incorrect hrefs for homepage buttons. Added like/send button to settings page (spread the word!). Changed minimum and maximum supported WP versions. Security fix in the admin control panel. Fixed issue with publishing a post/page if there isn’t a thumbnail defined. Changed auto-completes to play nice with UTF-8. 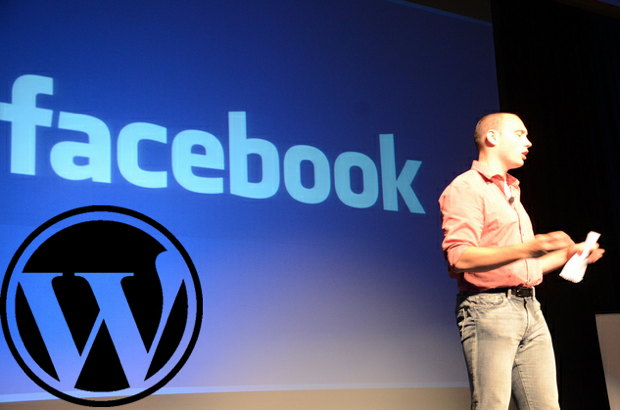 Moved extended access token function to Facebook_WP class. Added debug link on settings page that outputs debug information. Added easier debugging of Facebook API errors. Added better logged in state detection in admin UI, depending on if the user has authenticated and given certain permissions. Fixed publishing a post if no friends or pages mentioned. Theme fixes to prevent like and mentions bar from showing up in the wrong place. Fixed configure link on plugins page. Fixes for bugs happening on 404 page. Bug fix for if a WP admin removes the app via facebook.com. Added status messages for what was/wasn’t posted to Facebook as part of a Post/Page being taken live. Added functionality to disable publishing to a page if access token fails. Clearer error messages for certain scenarios (like inability to post to a friend of page’s Timeline because of privacy settings.